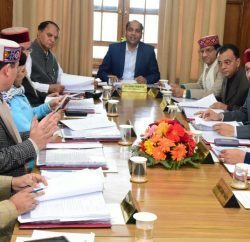 Shimla: The State Cabinet accorded approval to implement Rs. 224 crore ‘Saur Sinchayee Yojna’ in the State. Under the Scheme, 90 percent financial assistance will be provided to individual small and marginal farmers and 80 percent subsidy to individual medium and big farmers. Similarly, 100 percent financial assistance will be provided to a group of farmers of small and marginal category/Kisan Vikas Sanghs/Krishak Vikas Sangh/registered body of farmers etc. Under this scheme 5850 agriculture solar pumping sets will be made available to the farmers. The Cabinet also gave its approval to launch Rs. 174.50 crore flow irrigation scheme in accordance to the budget assurance made by the Chief Minister. Under the scheme to be implemented by Agriculture department, 7152.30 hectare area will be brought under assured irrigation benefiting over 9580 farmers of the State. The Cabinet decided to start Rs. 20 crore ‘Rajya Krishi Yantrikaran Programme’ in the State for farm mechanization. Under this scheme 50 percent subsidy will be provided to the eligible beneficiaries belonging to small and marginal farmers, women, Scheduled Castes and Scheduled Tribes on purchasing of small tractors, power tillers, weeders and other need based/ approved machineries. It also decided to start ‘Vidyarthi Van Mitra Yojna’ to educate and sensitize students about the importance of forest and their role in environmental conservation. It also aims at inculcating sense of attachment towards nature conservation. The scheme aims at increasing forest cover through plantation with the active participation of the students. 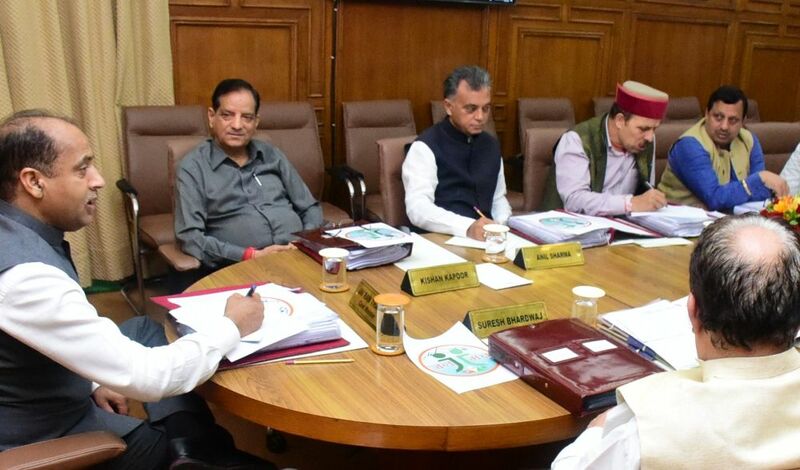 The Cabinet also gave its approval for the guidelines of Shreshth Shahar Yojna to select the best municipal councils and nagar panchayats on the twin indicators of sanitation/ cleanliness and public services. The scheme aims to reward and incentivize best performing urban local bodies on the indicators of sanitation/cleanliness, increase in income, public services delivery, construction regulations, fund utilization, public infrastructure and official work. 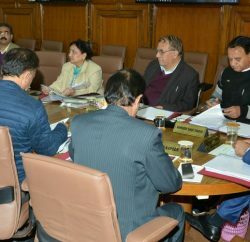 The Cabinet gave its approval to allow sale of thermocol cutlery items being manufactured in the State outside Himachal Pradesh as there is complete ban on sale of thermocol cutlery in the State. The Cabinet also gave its nod to transfer 62.06 bighas government land on lease in the name of Hydro Engineering College Society Bandla for 99 years @ rupees one per bigha for setting up College at Bandla in Bilaspur district. It gave approval for renaming it as Government Hydro Engineering College Bandla, Bilaspur.